Mode of Transport: Various mode of transport. Actiza Pharmaceutical is an Export House, issued by the Ministry of Commerce Industry (Government of India). 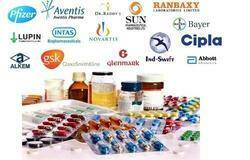 We are exporters suppliers of branded generic medicines from India. Our product range includes oncology, Lifesaving medicines, Anti-malarial, Anti Biotic, Anti Diabetics, Anti-Hypertensive Etc.